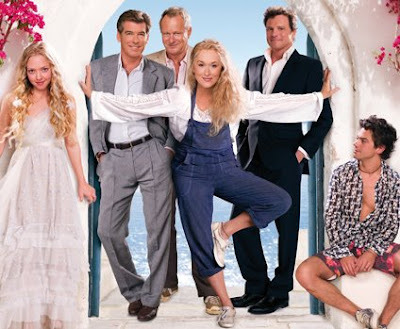 A R T & D E S I G N b y c a n d a c e b r e k k e : Mamma Mia, that was good! I finally saw the movie last night and it was AWESOME! I was so worried that it wouldn't live up to the live performance, but it did pretty well. The scenery was absolutely amazing and I think they did a great job with casting, with the exception of Pierce Brosnan. His singing was dreadful. I took a bathroom break during his solo. UGH. Anyway, perhaps it is the personal connection I feel with ABBA music and the great experience I had seeing the show in Vegas, but either way, I would highly recommend seeing this awesome show! Happy you like it! The soundtrack is great! Just bought it the other day!